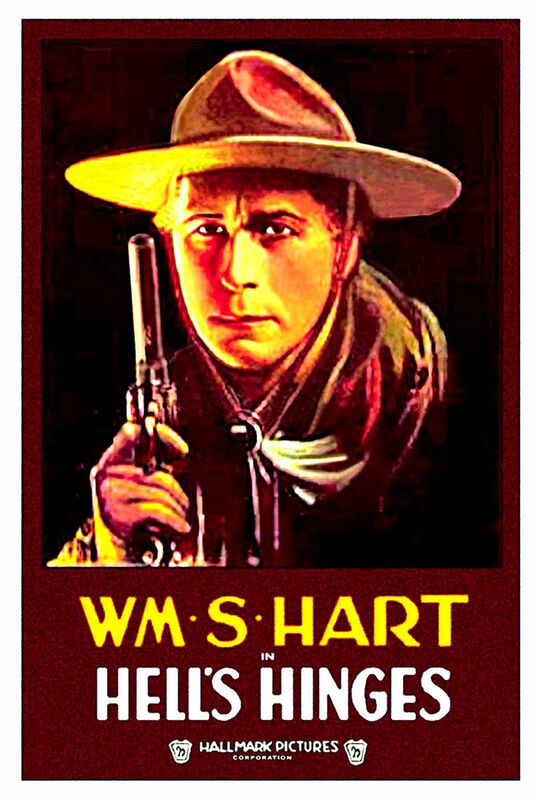 This rare William S. Hart feature was shown at Cinecon in 2017. He plays pretty much his usual Western anti-hero character, but transported in this case to the wilds of Alaska. Shark Monroe (Hart), owner of a sealing vessel, agrees to take Marjorie Hilton (Katherine MacDonald) and her brother Webster (George A. McDaniel) to Skagway, provided Webster works his own passage. Webster is a drunk whom Monroe hopes to reform, but his sister sees Monroe as a bully who pushes Webster too hard. Monroe, of course, falls for her in a big way. Bert Sprotte is the typical grizzled bro-mantic sidekick with a soft heart, called “Onion” McNab. 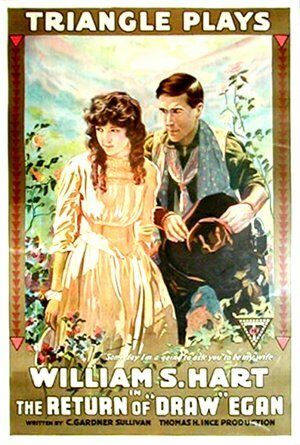 Marjorie falls into the power of Big Baxter (Joseph Singleton), a notorious character of the Alaskan coast (the intertitles tell us he is responsible for the ruin of half the women in Alaska), and agrees to marry him. Shark appears and, while his men hold the wedding party at gunpoint, marries and runs off with Marjorie. At the end of two weeks he agrees to safely return her to Baxter’s camp, revealing that the preacher who “married” them was actually a fake. Webster and Baxter arrive, however, and to restore the young man confidence Shark allows Webster to beat him in a fist fight. Later, after overhearing Baxter lie about him, Shark kills Baxter with one blow, and Marjorie finally realizes that her heart has been his all along. According to the introduction given at Cinecon, this movie was set in Alaska because the studio could no longer find enough men to do stunt-riding during the war (all of them had enlisted), and so a story was needed that wouldn’t require any horses. There are some good dog-sleigh scenes. 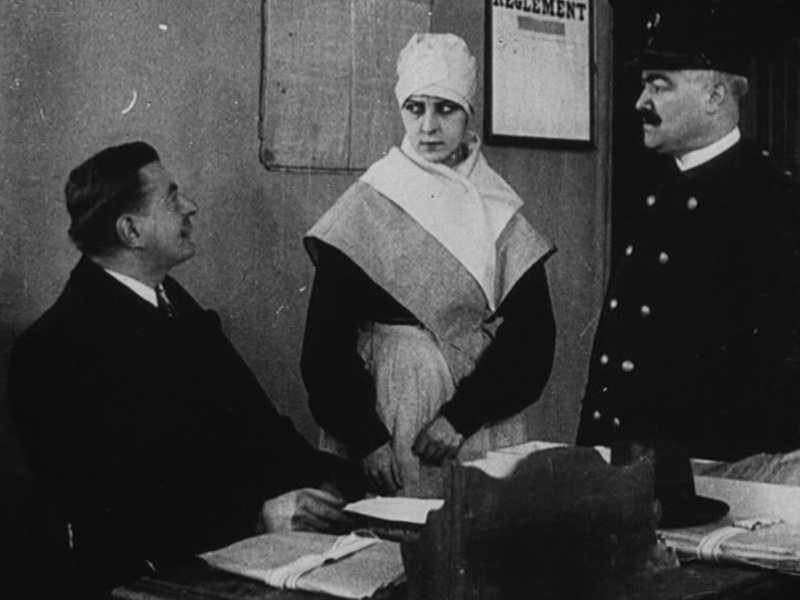 A number of silent films have kidnappings that turn into romances, often with some implication that the girl “learns what’s good for her” because of the man’s caveman tactics, but in this case it is played somewhat more realistically. Marjorie resents Shark for what he does and refuses even to speak to him, and only comes around after being released unharmed (and, it appears from the script, un-raped). In this case it seems more that Hart’s character uses the only tactics he can understand, only to realize when they didn’t work that he needs to prove himself in another way. Otherwise, the romance is very similar to what we saw in “The Return of Draw Egan,” with Hart pining for the girl and her horrified at his lack of civilized manners, complicated by his “tough love” approach to her brother. I have been unable to find this movie on the Internet for free. If you do, please comment. 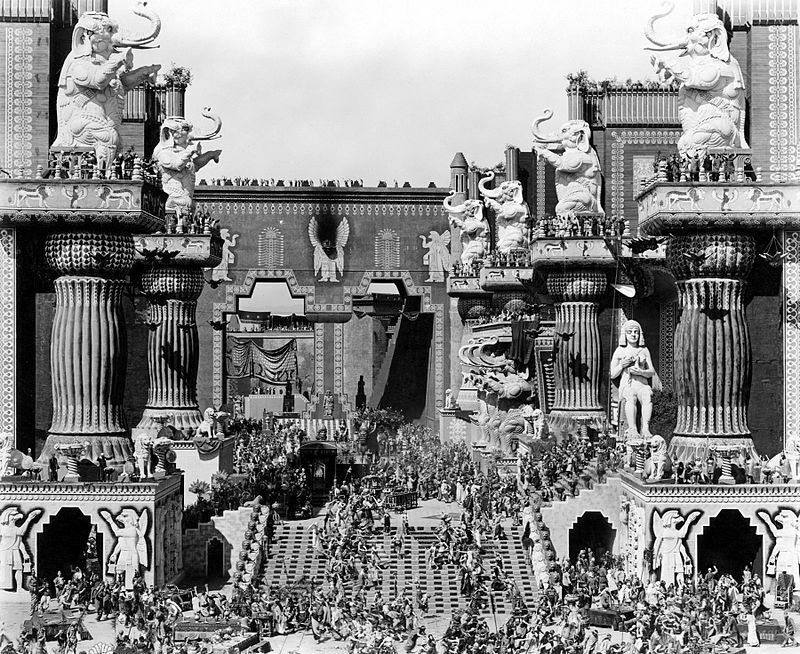 Screen actors in the silent era had to learn to communicate their inner worlds effectively without the use of dialog. In an era in which showing emotions was still somewhat suspect in men, they needed to have visible feelings – yet still retain a “manly” self-control to be seen as heroic. 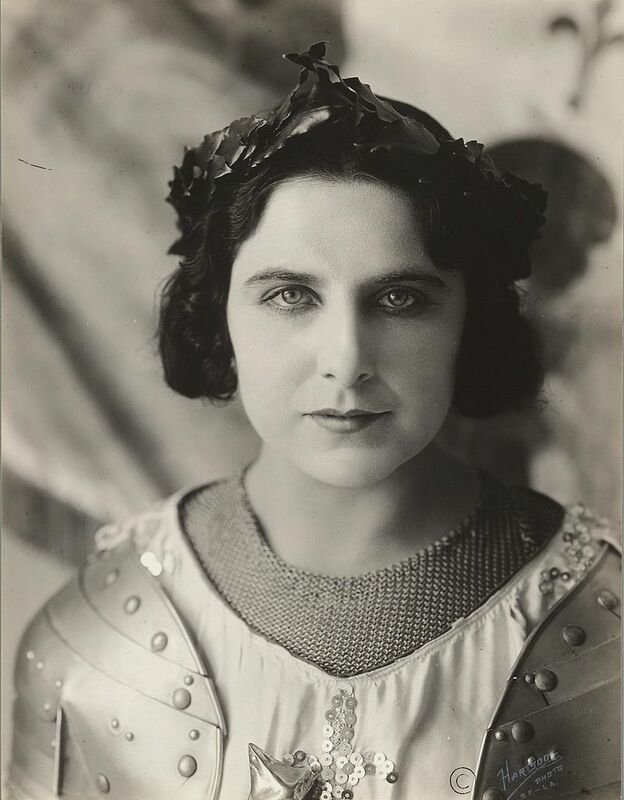 Silent film actors learned to show power and control while still sharing what their character was going through, a talent that is often over-looked by audiences accustomed to different styles of acting. And the winner is…William S. Hart! I felt that the quiet dignity and authenticity that Hart brought to his Western tough-guy put this movie into a category over and above the typical genre picture of the day. Hart is always in control, yet you know when something is going on inside of him. He demonstrates love-at-first-sight through the simple act of removing his hat before the lady when she arrives. He shows his boiling anger at seeing the church burn by hardening his eyes a little, so that the menace from him is palpable. 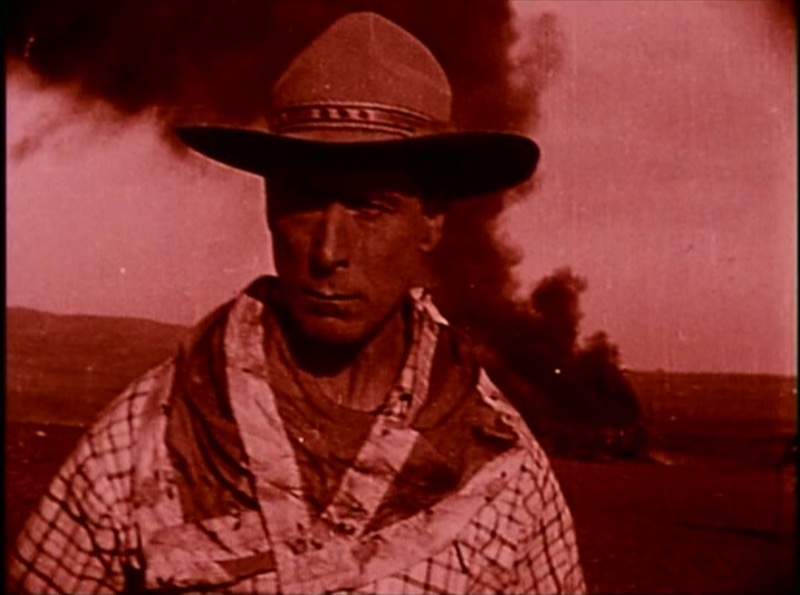 There are multiple close-ups in the film, any of which could be an iconic image of the American West. For me, this was the performance of 1916. So, once again the Academy Award nominations have been announced, so once again I announce the nominees for the Century Awards. 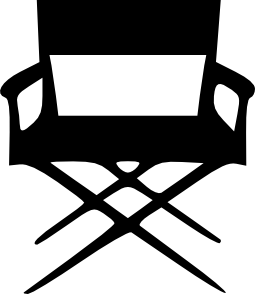 This year, incidentally, I saw several Oscar nominees – all in categories like “production design” and “visual effects” and “makeup and hairstyling.” So yeah, whatever. Some basic ground rules, once again: I do not have categories for animation or shorts. Those movies are treated like everything else, since they were on a more even playing field at the time. I didn’t actually watch any animation for 1916, so that’s moot anyway, but lots of shorts (mostly comedy) have been nominated in various categories. I only watched one documentary this year, so that category’s a gimme, but I have included it as a nominee in a number of other areas, including Best Picture (because it really is good enough to be considered for it). Oh, and I make no distinction between English and “foreign language” films, since with Intertitles it makes minimal difference. 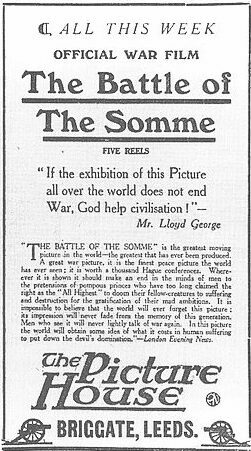 I do reserve the right to make changes in the final weeks as there are still a few more 1916 films I hope to get around to watching. If you have any opinions on these nominations, or suggestions for things I should watch (especially if they can be seen for free on the Internet), please do write a comment. 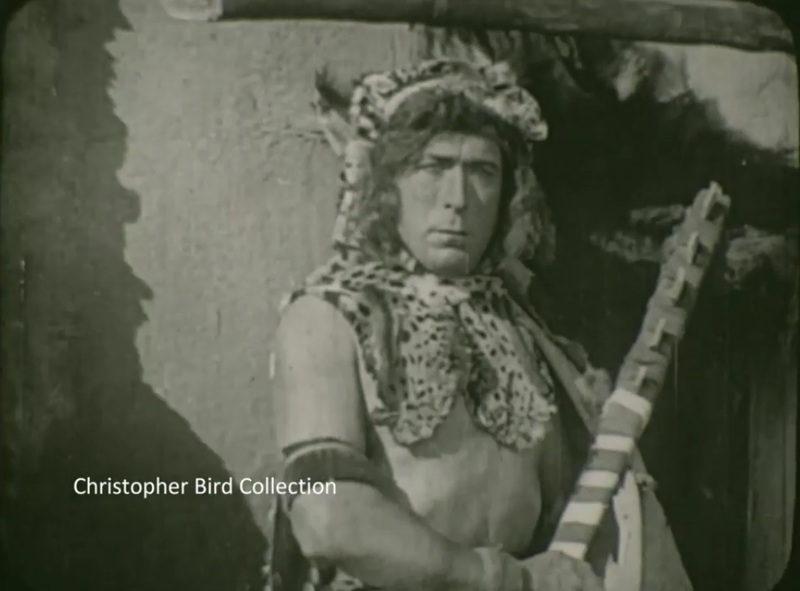 In a departure from his standard Western-tough-guy, William S. Hart appears as a native Mexican warrior in this tale of Meso-American star-crossed love. Unfortunately, the available print is incomplete, but we’ll do our best to make sense of the remaining plot. 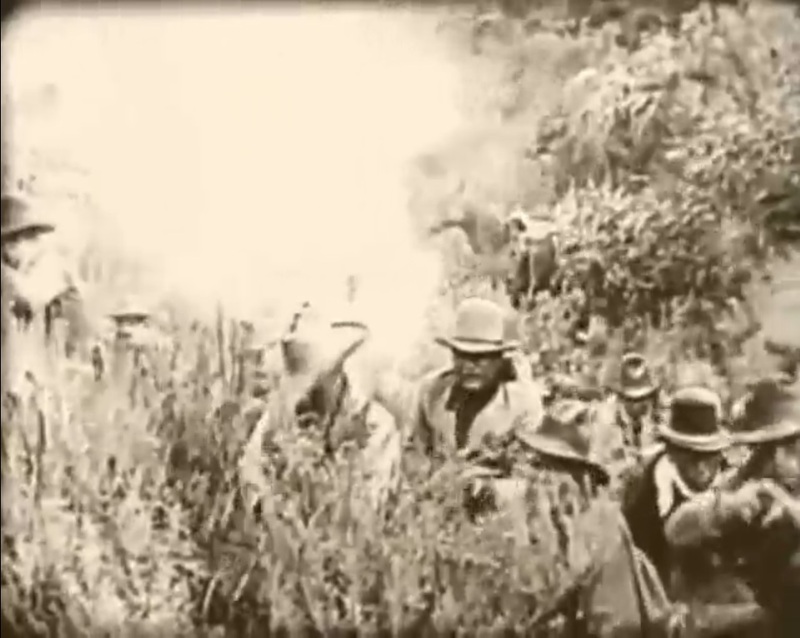 At the beginning of the movie, we see a war between the “Maya” and the “Azteques” (note that all names differ from those in the original print as recorded by sources like imdb. More on that in a minute). Hart plays “Tonga,” the leader of the Maya side, but the Azteques apparently win this round. Montezuma, the Azteque chieftan (Robert McKim), offers “Matho” who led the attack (P. Dempster Tabler) any reward he names for routing the enemy. 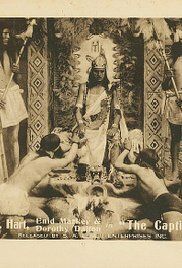 Matho requests his daughter, who is saddled with the unfortunate name “Tacki” in this version (Enid Markey), and Montezuma grudgingly agrees, although his daughter vows not to obey. Screen-captures used by permission. Thanks to Christopher Bird and Fritzi of Movies Silently.